The newest working principle in car technology is the park assist and object detection features currently being integrated into them. These two features are classified under the patented “ultrasonic park assist” system. 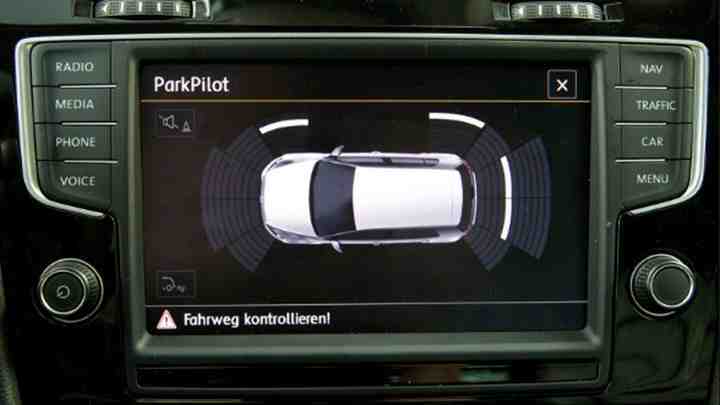 This system has the ability to help drivers with their parking while backing up in reverse. The main way it helps drivers do this is by detecting objects which may be there so they can be avoided. Newer versions of the ultrasonic park assist have sensors in both the rear and front of the vehicles so that front parking assistance can be available too. Below are the top 5 features of the park assisting and objection detection technology. This technology also goes by the name ultrasonic parking assist and is found in many newer vehicles out there. Front Object Detection – Can detect objects up to 4 feet in front of you. Rear Object Detection – Can detect objects up to 8 feet in back of you. Instrument Cluster – A visual aid to know where these objects are in conjunction with your vehicle. Sensors – There are 4 sensors on the front bumper and 4 sensors on the rear bumper. These are what detect when an object is close to the vehicle. On/Off Button – You can easily turn the detection system on or off simply by pushing the on/off button next to the radio. The way it works is rather simple. When your vehicle is moving under 5 miles per hour, the ultrasonic park assist system will automatically activate. The system will notify you of the distance from your car to the nearest object in front or behind you, depending on whether you have the gear in drive or reverse. If your vehicle ends up getting closer to the object, the vehicle will send an alert to warn you of this. There are many indicators that will let you know when an object is close. The most obvious indicator will be beeping sounds that turn on. The longer the pause between the beeps, the farther the object is from the vehicle. The shorter the pause between beeps, the closer the object is to the vehicle. By the time you get one foot from the object, the beeps will be continuous. The instrument cluster on the dashboard will also illuminate colored bars to illustrate how close the objects are from your vehicle.